A pair of brass Hollywood Regency style table lamps, pharaoh heads made by Belgium manufacturer Deknudt, and these lamps are very detailed as you see in the picture. 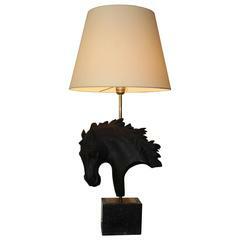 One lamp has more vintage look and the other one looks newer but this is always the case with vintage items. Great item for your home or maybe as a present for somebody else. shipping is free, and comes with free bulbs and lampshade. Brass pair of tall regency table lamps. 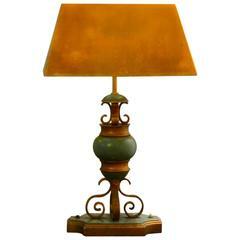 The gorgeous carved wooden bases with gold cream coloured shades hold an amazing patina. A true regency set.